Cheaper… – …STILL CRAZY AFTER ALL THESE YEARS! …again like I said I would in my post the other day because I wanted to try the red kampua mee that my ex-student who was there that morning said was very nice. 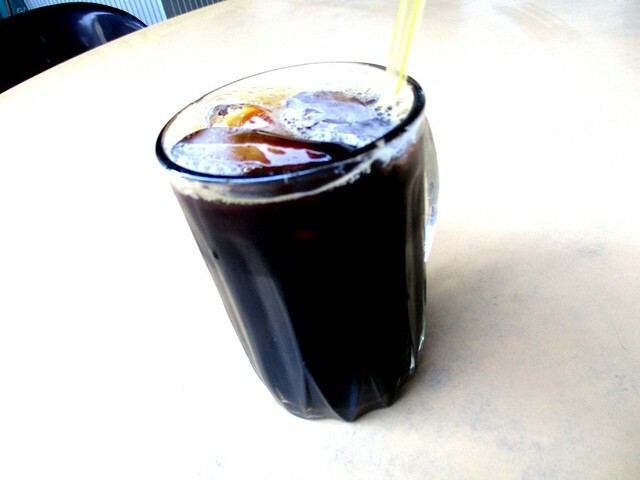 …that I had on my previous visit, RM1.50 only a glass, cheaper than most other places where it is usually RM1.80 at least. …was all right, pretty much the same as the nice ones elsewhere – nothing to push it a head above the rest. …was really very good. Other than the very nice one that I loved so much in Kanowit, I had not had any here that got me really excited. It was not sweet, despite the use of the char siew sauce, and had a light and very pleasant garlicky taste. If you want authentic Sibu Foochow kampua mee, this is not the one but this is one place for you to consider if you are looking for some very nice noodles that you will truly enjoy. …was only RM4.50, around USD1.00, believe it of not…or if you throw in the coffee, it was around AUD/NZD2.00 only, and less than SGD2.00. With the escalating prices of things around here these days, it sure is nice to stumble upon places where things are still very affordable. 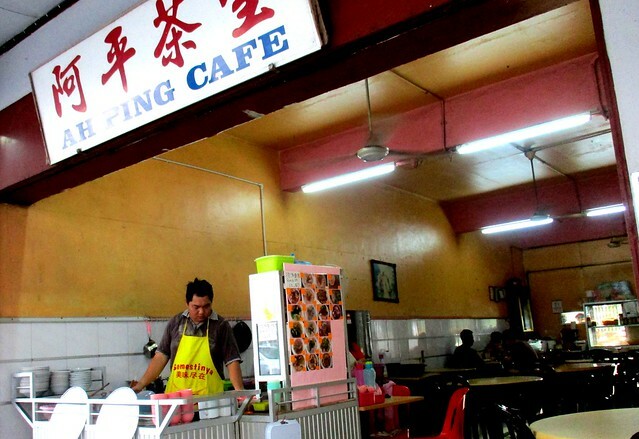 AH PING CAFE is located in the vicinity of the Dewan Suarah, Sibu right across the lane from AROMA BAKERY (2.311151, 111.831515) after the Maju Tyre shop at No. 36 (G/F), Taman Damai along Jalan Dewan Suarah. City people very rich mah! Can afford to pay more. LOL!!! 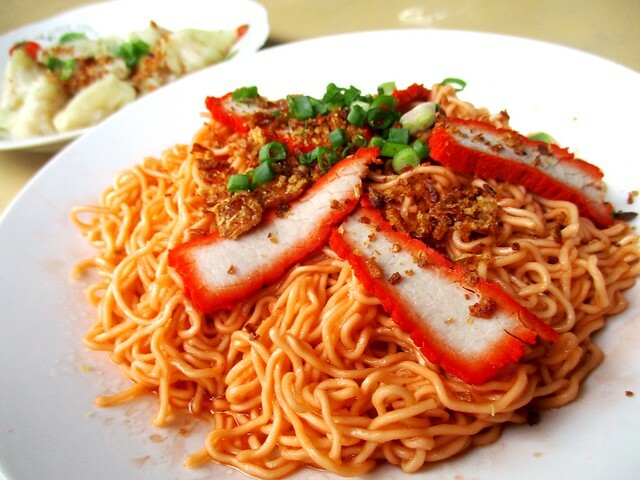 The portion of the red kampua mee is huge….you chi you phi you ho chiak. More worth to have than a piece of pezzo pizza. Definitely! And for a slice, can get two bowls and still have change!!! Yup. No tomato sauce used for this…ever but when tossed in chili sauce, it would be red too, a different shade of red. It is indeed very, very affordable because there are even a few pieces of meat on the noodles! Yes, not commonly found – that price, even here. So cheap. Over here, RM4.50 only cover the dish, not include drink. Haha. 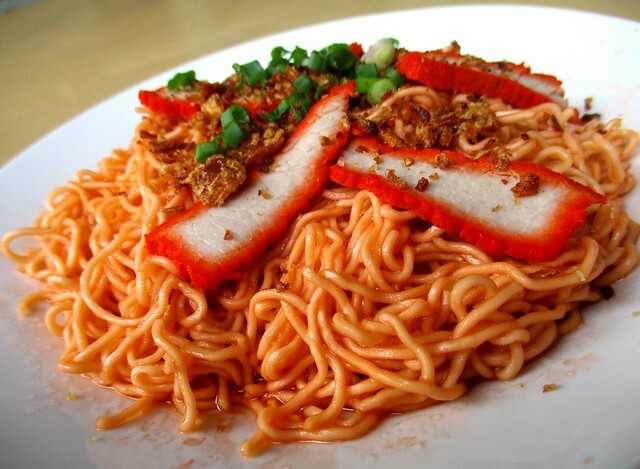 Red kampua, a different version from the traditional noodle, just like our kolo mee. Either red or white. I think I have been to this coffee shop once. Or I seen it when went to Civic Centre. It has been around for a long time and I do think it is very popular. For one thing, I think they do make a lot of money from the students at all the tuition centres around the area. I would like to try it too. I’m guessing tomato gives it the red colour? Nope, it’s char siew (barbecued meat) sauce. Tomato is never used in any of the local tossed noodles. OK I’m ashamed to say I have no idea what’s pian sip. 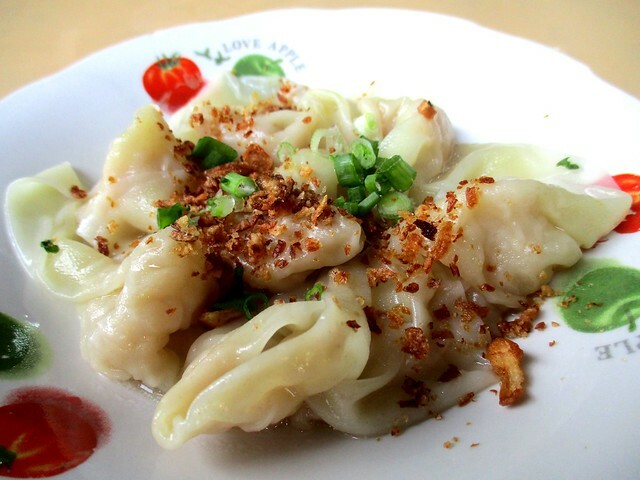 That’s our version of meat dumplings, what you call wanton or what they call kiaw in Kuching.